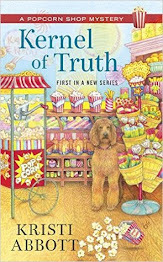 Callie Reed makes a long overdue visit to her aunt Melodie, who lives in a fairy-tale cottage in quaint Keepsake Cove, home to a bevy of souvenir and collectible shops on Maryland’s Eastern Shore. 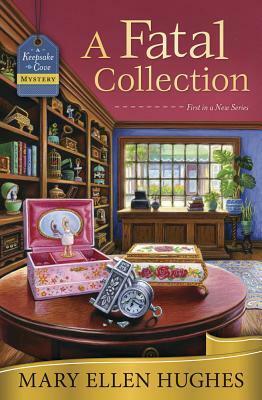 Just as they’re beginning to reconnect, Callie discovers her aunt’s body on the floor of her music box shop. Grief-stricken, Callie finds she can’t accept Melodie’s death being called accidental. How could her strong and healthy aunt take such a fatal fall? And why was she there in the middle of the night? 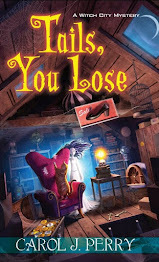 In this book Callie Reed needing a break from her boyfriend goes and visits her aunt Melodie her only connection to her father's family. Melodie lives in quaint Keepsake Cove in a cottage where she sells in her shop music boxes inheriting her love of them from Callie's grandfather. Including a music box he handed down to Melodie who will someday hand in down to Callie. Later the same night Callie finds Melodie dead and can't buy the cops theory of accidental death. She doesn't buy that her aunt would slip and fall and that would be the end. In a town where Callie doesn't really know anyone how can Callie determine who the real murderer is and why? Along the way Callie makes friends with the other shop owners in town like Brian the man who runs a cafe and finds Callie in their frequently. Along with a lovely girl who becomes Callie's assistant as she decides to continue running her aunts store and moving her things to Keepsake Cove. Determined this was the push she needed to make decisions in her life. Delia who works in the shop next to Callie becomes a good friend to Callie and helps her where she can. This book was great and led to meeting so many shop owners. Callie really has her work cut out for her and it was a great ride to go one. I loved learning about each shop owner what they sold and how they came to sell said trinkets. Callie definitely is in a learning process in this book which is great because Callie just didn't excel at everything she does makes her a more connectable character. I can't wait to see what is next in this series!